With summer right around the corner, why not invest in a summer camp that is not only fun, but educational? 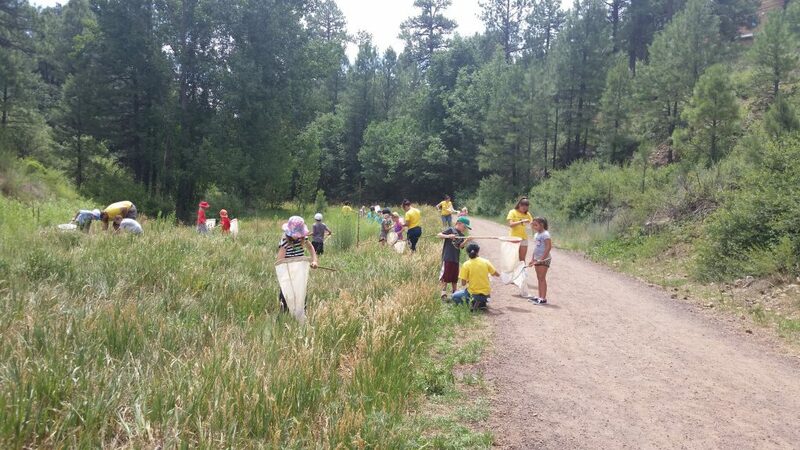 NAU Summer Bug Camp, which celebrates its 12th summer in 2018, is a hands-on summer camp that introduces children to the wonders of science through the fascinating lives of insects. Campers learn about insect history and biodiversity through a series of projects and activities. Children have the opportunity to handle live insects from NAU’s collection, collect insects, create their own insect collection and make insect cuisine. Parents will be invited to an insect banquet and open house on the last day of camp. Each weeklong summer camp is designed for children ages 6 to 10. The first camp will take place June 18-22, and the second camp will take place July 23-27. Both camps run from 9 a.m. to 4 p.m. All the supplies needed for camp activities will be provided. Campers provide their own snacks, lunch, summer clothing and sunscreen. Both camps will be held at Willow Bend Environmental Education Center, which has partnered with NAU’s Merriam-Powell Center for Environmental Research to host the camps. Scholarships are available for Flagstaff families that fall under 125 percent of the Flagstaff mean annual income, which is $70,500 for a family of four. These scholarships were made possible through a grant from the Arizona Community Foundation of Flagstaff to expand access to experiential science learning activities for Flagstaff families. The fee for the 2018 Summer Bug Camp is $190 per child. NAU staff and students receive a $15 discount per child when they register before June 1 for the June camp and July 1 for the July camp. Contact Neil Cobb for more information.